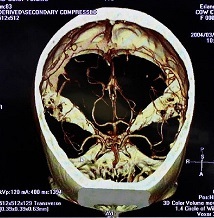 Chattanooga, Tenn. – Taking a leading role in an international stroke research study, Erlanger Health System has become the first hospital in the United States to implant a novel device in a stroke victim, the BrainsGate device, which may eventually allow the window for stroke treatment to be extended from 8 hours to 24 hours. The BrainsGate device utilizes a new approach to stroke treatment by stimulating blood vessels deep within the brain, causing them to dilate and thereby increasing blood flow to areas involved in the stroke. This unique device, the product of an Israeli company, is inserted during a surgical procedure in the roof of the patient’s mouth. In 2009, the Erlanger surgical team, led by Dr. Peter Hunt, otolaryngologist with Associates in ENT, Head, and Neck Surgery, performed the first BrainsGate device implant in the U.S. Last month, the same team became the first in the U.S. to use a new high tech Guideview Navigation system specifically designed to facilitate device implantation. The Erlanger team used the international audio-visual telemedicine capabilities of the new Guideview System to consult with the Israeli-based representatives of BrainsGate through real-time Internet connections. “The BrainsGate Ischemic Stroke System could be a stroke treatment breakthrough,” asserts Tom Devlin, MD, PhD, Medical Director of the Erlanger Southeast Regional Stroke Center and principle investigator for this research trial. “The procedure is designed to help save brain tissue and to improve outcomes by augmenting the reversal of damage to the brain during a stroke. Preliminary studies are extremely promising that the device may provide significant improvement in the outcomes of our acute stroke patients. On Tuesday, April 6, 10 a.m., Dr. Devlin and Dr. Hunt will conduct a press conference on this breakthrough technology in the Erlanger POB dining room, located on the Erlanger Baroness campus. Members of the media interested in attending the event should meet a member of the Public Relations staff at the Erlanger Information Desk. If you have any questions, contact Susan Sawyer at 423-778-2921 or 423-778-7427. 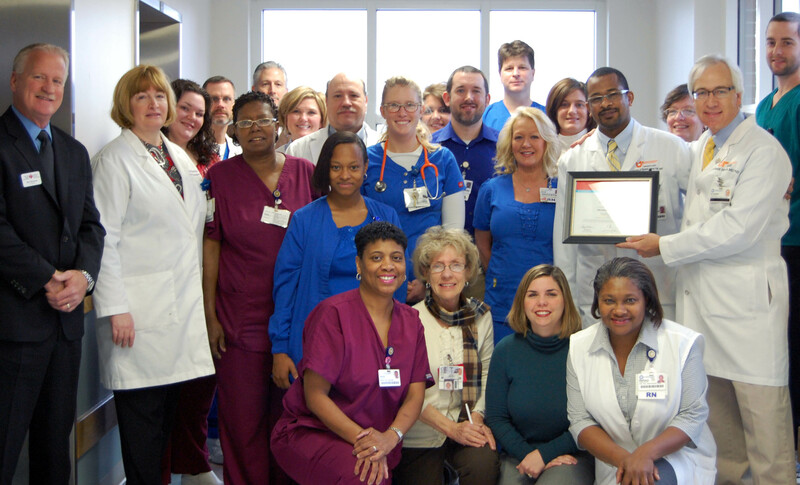 The Erlanger Southeast Regional Stroke Center is Southeast Tennessee’s first and only accredited Primary Stroke Center. 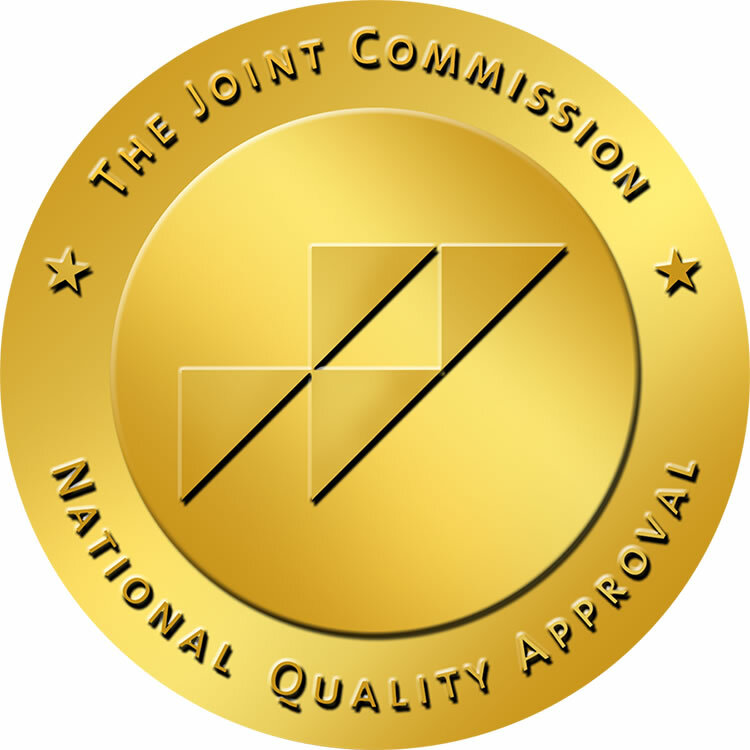 Erlanger earned the Gold Seal of Approval from The Joint Commission for Primary Stroke Centers, recognizing that the Erlanger stroke care program follows national standards and guidelines that can significantly improve outcomes for stroke patients. Dr Peter Hunt, otolaryngologist with Associates in ENT, Head, and Neck Surgery, performed the first BrainsGate device implant in the U.S. Last month, the same team became the first in the U.S. to use a new high tech Guideview Navigation system specifically designed to facilitate device implantation. Dr. Thomas Devlin is the Medical Director of the Southeast Regional Stroke Center at Erlanger.